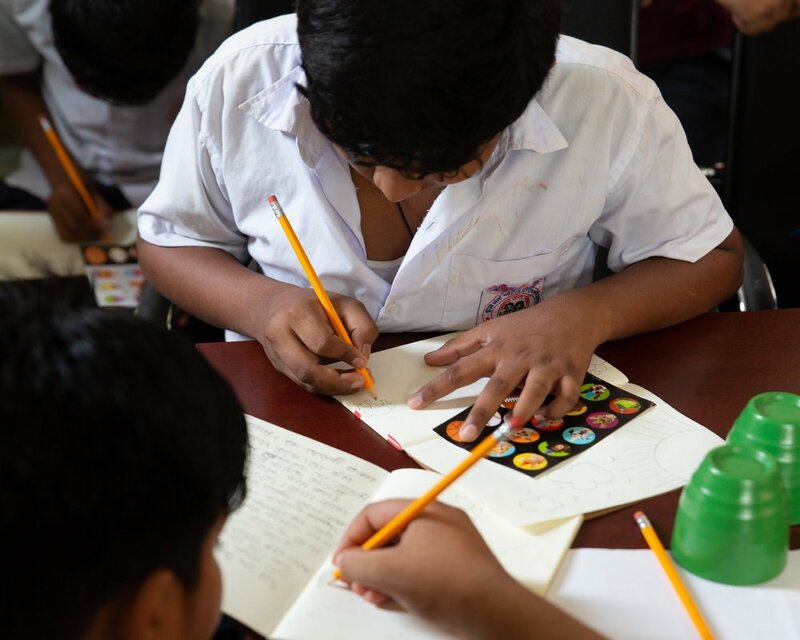 Snapshot Dhaka is a part of a 8 class course that is custom designed by 100cameras to equip passionate creatives with the tools to empower kids in a community they care about with the opportunity to learn how to process their stories and create change. 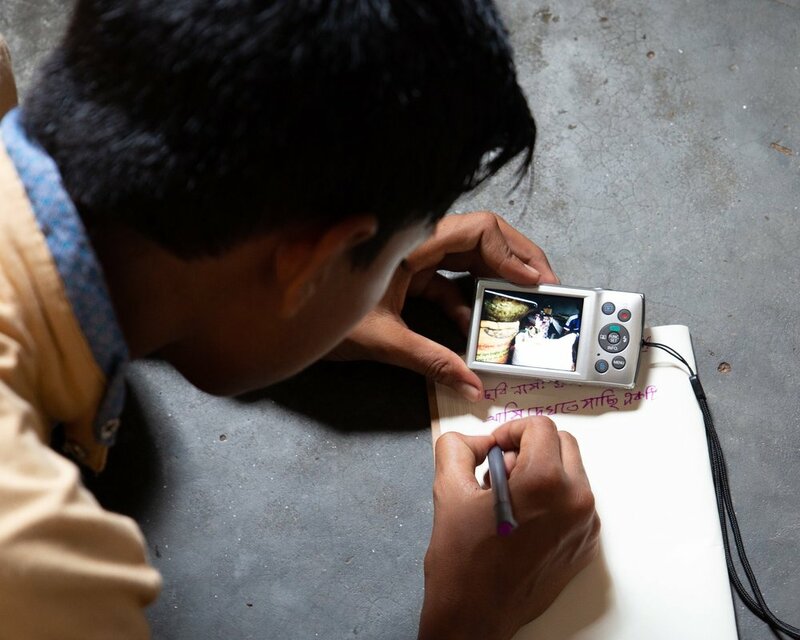 During the Summer of 2018, 25 remarkable students learned to tell their stories through 100cameras Snapshot Dhaka in Dhaka, Bangladesh. In partnership with Teach for Bangladesh, a non-profit organization part of the Teach for All network that helps provide education to underprivileged and low-income areas, this project was led and taught by an incredible team of high schoolers and their photography teacher based in Virginia just outside of Washington D.C., USA. As children of migrant workers, the families of the students are from remote villages but travel to the city to work in factory and construction jobs. Therefore, the children live in low-income housing and have to walk distances to get to their school while overcoming a variety of difficulties to pursue their education. 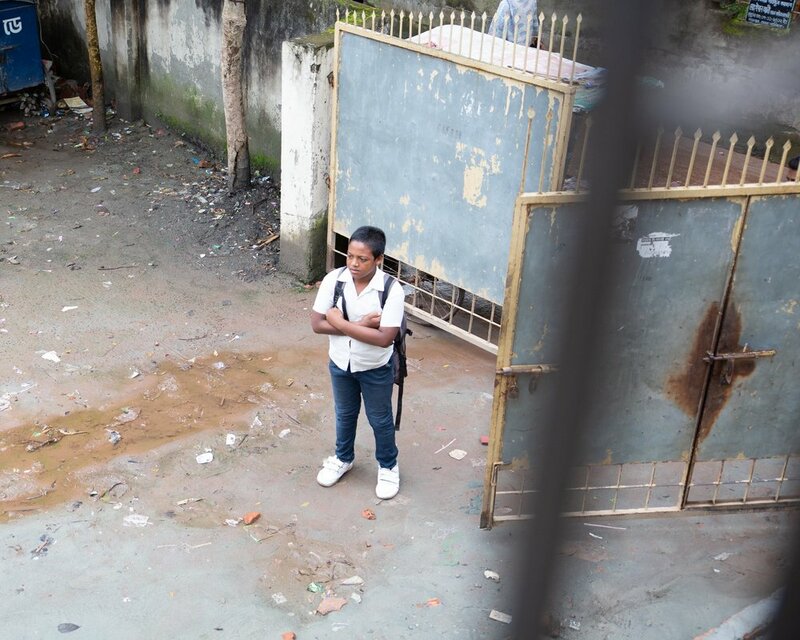 Physically, these difficulties include such examples as journeying through a trail of pollution and large piles of deserted trash, needing to leave school to take care of their families because accidents are common in the busy city, lacking access to basic humanitarian needs at times, or furthermore, during monsoon season, their schools flood up to their knees actually preventing them from attendance. Culturally speaking, this specific group of students is living within a system that does not place importance on self-expression, self-worth, or extracurricular activities mostly in part to their socio-economic status. As kids have shared through the Snapshot Project program experience, they are regularly that because they come from underprivileged families, they will not be able to achieve their dreams and make a difference in their communities. It is because of these difficult circumstances that it's been important to teach, empower, and encourage the kids to process what they have been through and to remain optimistic and grateful for what they do have and to focus on their role in their own future. Through the Snapshot Project, students were able to tell their stories. 100% of proceeds from the students' photo sales will go directly back to their community. Based on the current needs of the organization, the proceeds raised will help fund much needed educational supplies for the kids and their peers. The 100cameras Snapshot Dhaka team is comprised of high schoolers and teachers who volunteered their time, talents, experience and resources to make this project possible. 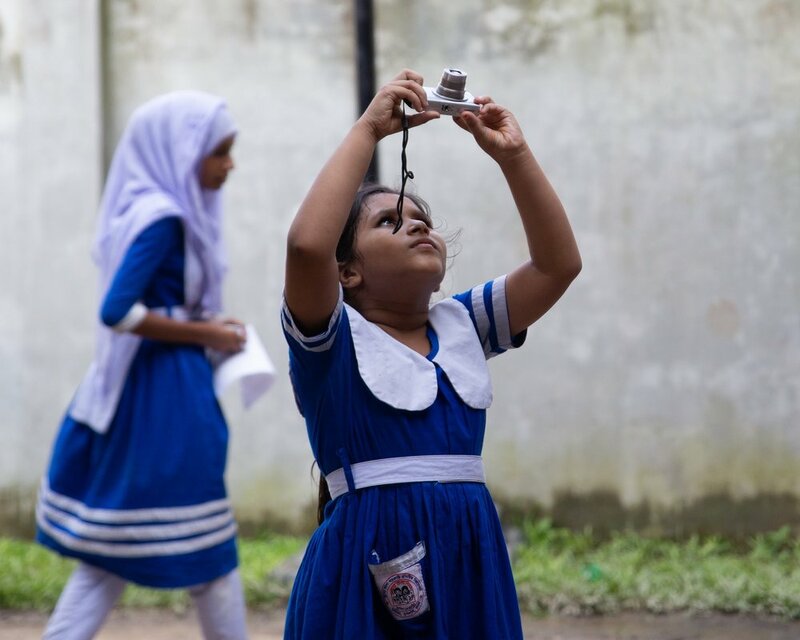 As a young girl of Bangladeshi heritage, Sumaiya started this project because of the wonders photography brought to her life and wanted to share it with children who don’t have the same privileges. As a senior in high school, she is also passionate about sustainability and global development and was curious to explore this unique approach to empowering underprivileged youth. Amanda is passionate about inspiring young people to see the world differently and empowering them to share their perspectives through photography. As a high school teacher, this project has reminded her why she began teaching art in the first place - to inspire change through creative means - and that’s the most important piece of this project for her. Mehran is a high school student who’s family is from Bangladesh. This project helped her to realize how important education is, and how it is often taken for granted. Working with the kids showed her how enlightening the freedom of expression is for all. And as a photographer, she believes that while arts education is overlooked, it is important for children. Andrew is a high school senior who loves teaching children and doing community work. He came into this project not knowing what he was getting into, but his life was changed by these kids. It made him realize how privileged a lot of us are and how important their work was in the project. He became super close with the kids and hopes he can see them again one day. Ananya is a highschool student who has always loved working with children as she believes they have an unfettered kind of joy that is simply addictive to be around. These kids especially! She experienced how it was wonderful traveling to a new (and for her — foreign) part of the world and seeing children who endure so much poverty and tumult have the opportunity to explore and be creative! She thinks it is important that every child gets the chance to be a kid and be creative, no matter their background. Snapshot Project Dhaka was powered by our friends at ONA. Follow us on social media to see images from the field as captured by the Snapshot Dhaka team and the student photographers.